Early morning on the trail to Booth Lake brings cold, crisp weather and beautiful skies. 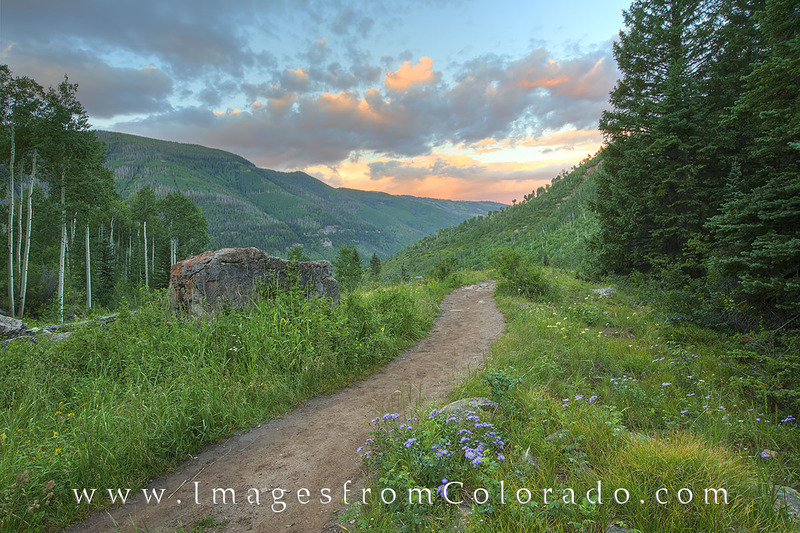 This nearly 10 mile round trip hike near Vail leads past roaring waterfalls and up through meadows filled with wildflowers. The destination is a lake surrounded by high rocky walls nestled in the Eagles Nest Wilderness area. Photo © copyright by Rob Greebon.